I love Laurell Hamilton’s work. The Anita Blake, Vampire Hunter series is outstanding! The first two books in this series, Guilty Pleasures and The Laughing Corpse are amazing pieces of work. This book declares no less awesomeness. This is the book that wraps you around the series and pulls everything together. This book is really the beginning of the journey that whips and turns you into a reality that is completely twisted, morbid and simply put, cool! Anita Blake is introduced to a few characters that you will no doubt adore and look forward to reading about in the future. Being yanked from on Master to another, Anita is faced with a choice. A choice to betray those she is running from or a choice to try to save the humans from the monsters. Tough choice right? Jean-Claude is relentless in his desires and efforts to seduce the one woman who has the power that once bound to his, will make him even more incredibly strong and deadly. A new character is brought to life, Richard Zeeman. His charming smile and human body draws Anita into a chance to live a normal life. Well, as normal as raising zombies and hunting and ripping hearts out of vampires. Unfortunately, she is was deceived by the very monsters she avoided. Instead of trusting her instincts, Anita tip toes across the lines she carefully placed in life. The line has wavered since the second book. In this book, she considers that not all monsters are evil. She wonders if Jean-Claude is a monster. Sure, he is the walking dead. But could she love him? Thrilling battles ending in death and blood shed, Anita chooses which side of monsters to fight beside. The interesting whoas in this book are grin worthy! Fighting against a vampire that is over a million years old (that is the only mark in this book that is a little ridiculous in my opinion), and the servants that betray each other, the relationships become unpredictable. It was a pleasant surprise, to find myself smiling as the scenes hit me from the blind side. As the other two books, I would recommend this book to anyone that is interested in paranormal (or what seems to be science fiction? weird..) worlds centered around blood and guts with a pinch of lust. I would strongly suggest that this book not be read by children or immature young adults. 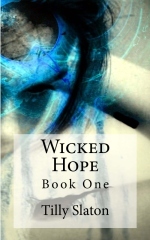 This entry was posted in Reviews and tagged Anita Blake, circus of the damned, Laurell Hamilton, paranormal romance, shape shifter, vampire, werewolves, zombie. Bookmark the permalink.